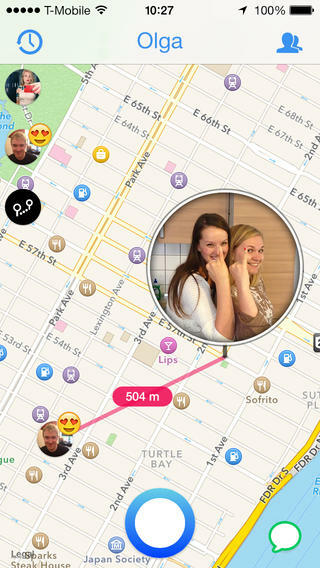 Social mobile location apps were all the rage a couple of years ago but few seemed to take off, unless of course like Grindr and Tinder they scratched that hookup itch. A more general, friendly ‘SoLoMo’ has been wanting, other than perhaps Foursquare. 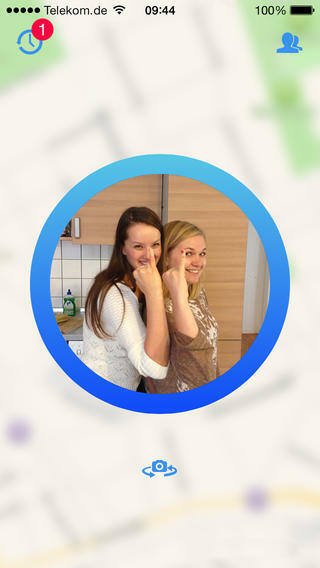 Step in Ding Dong, a new app which makes the whole process of sharing your location more fun and, crucially, more private. Today the new redesigned Ding Dong hits the App Store. And it’s addictive. Ding Dong is hilariously easy to use. You open the app, take a picture and select up to five people to send it to. It then puts you and that picture on a map. When your friends respond either with an emoticon around your photo or a Ding Dong photo of their own, it draws a think line between the two of you. It thus makes sharing your location more intimate. If you want to take the conversation into a chat you can open up the messaging feature. 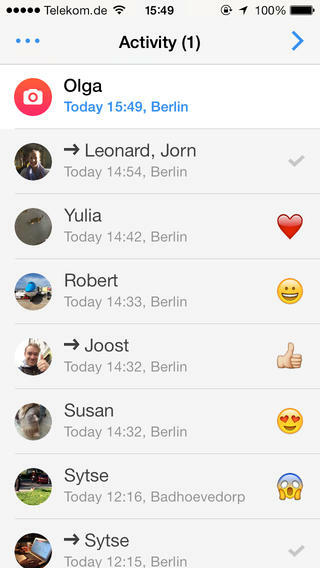 The new version allows Ding Dongs to be sent to friends who are not on Ding Dong via SMS, Facebook-message or email. It’s the same as sending a regular Ding Dong and your friend can open it in a web browser. Beta testing results show that users especially enjoy the new zoom feature. With this feature, taking a photo in Ding Dong is likened to peering through a spyglass. You can take a picture of something that expresses where you are and what you’re doing. It’s a fun way to share, let someone know that you are on your way over, send a digital ‘postcard’ when traveling or iInvite friends out for a spontaneous drink, etc. Ding Dong is founded by Onno Faber, Leonard van Driel, and Jorn van Dijk. Formerly from Rotterdam (The Netherlands), the team is now based in Berlin. Ding Dong is currently in private beta for Android. A request to join the beta community can be made here.